1. Is English really the solution for Malaysia? A few weeks ago, the Sultan of Johor expressed the idea that we should adopt Singapore's education system. The crux of the matter related to the usage of English as a medium of instruction in our national schools. The Sultan highlighted many issues, including English as a universal currency, its role in the advancement of knowledge and in fostering unity (more on the latter later). This added to the myriad views on the ongoing debate as to the role of the English language within our education system. To many, reintroducing English-medium schools or teaching maths and science in English is the solution to our education woes - be it the ability of our students' to communicate, think critically and gain the latest and most advanced knowledge. From this, a question arises: Is it really so? Is English the panacea to our problems? Research would suggest that the answer to the above is "no", though if this issue was a Facebook status, it'd more aptly be categorised as "It's complicated". According to various UNESCO reports going as far back as 1953 (with reports in 2003, 2005 and 2008), it has been argued that student outcomes are most positively influenced when they are able to learn and gain basic education in their first languages or mother tongue. • girls and rural children with less exposure to a dominant language stay in school longer and repeat grades less often (Hovens, 2002; UNESCO Bangkok, 2005). From conversations with educationists, especially those who teach in areas where English isn't commonly used, they tend to suggest the same as the above. Teach in the mother tongue, get the basics right, and as the children develop learning skills, there'll be a point of convergence where they can learn in English or a non-mother tongue language and excel. Interestingly, the often-cited PISA 2012 results which placed Malaysia's education system in the bottom third in the world (and we are often reminded, behind Vietnam) was taken by students who had learned maths and science in English for some 8 to 9 years. A cursory extrapolation would suggest that the teaching of maths and science in English had an adverse effect on our students' performance. For Malaysians, the answer isn't always direct. It depends on where you were born, your parents, and environment. History plays a role too. And with the many 'rojak' children we have nowadays (i.e. those from mixed parentage, like myself), some may even have more than one mother tongue - and are thus bilingual. The common stereotype is that English is the mother tongue of urbanites with Bahasa Malaysia for the rural-folk. In between, there are the Chinese- and Tamil- dialect speakers and then also, the languages of Sabah and Sarawak indigenous groups. UNESCO reports that 'about 140 languages are spoken in Malaysia'. Let's not forget that for those from Kelantan and Terengganu, their local dialects (loghat) are their mother tongue (the kecek klate and ghoyak 'ganu). A Terengganu-born friend once told me that during his school days that he couldn't even think of working on his English yet as he had to first fix his 'broken' Bahasa Malaysia. Language isn't a one-size-fits-all affair. Perhaps herein lays some answer: Primary education shouldn't be taught just in English, but in the various mother tongue languages in Malaysia. Unity and integration - will this exacerbate the segregation of races (like what's currently happening due to various education streams - vernacular, boarding, religious, private-international)? Language should unite, but which language should it be? Personally, I'd say Bahasa Malaysia (and this is open to more debate). Indonesia has done well with its Bahasa Indonesia - and it has the fourth largest global population of over 255 million. Elitism - I've come across English speakers who tend to see themselves as 'better' or more 'modern' than Bahasa Malaysia speakers while the latter tend to deem the former as unpatriotic, too Western, etc. A very real situation is when rural school children are made fun of by peers and even some adults for trying to be 'Mat Salleh' when they try to speak in English. So how do we prevent this? Opportunity - some says that English is the language of the latest and most advanced knowledge hence the need to give students the opportunity to be exposed as early as possible. Why deny this? On the flipside, others argue that Bahasa Malaysia is growing and we can become like the Germans, Japanese and South Koreans. Why not? Preservation of culture - There is a need to safeguard and develop Bahasa Malaysia as the national language. The fear of nationalists is that the more English is taught in schools, the more it could mean an erosion or possibly extinction of the language (and closely related thereto, the Malay culture). Selfish as this may seem, it's a real fear that cannot be swept under the carpet on the pretext of English being a 'universal currency' (also because based on that logic, why not just learn Mandarin in view of China as the next world superpower?). All said and done, what we want is a holistic education system that is able to nurture good people and unite Malaysians. Language, undoubtedly, is at the heart of achieving this. Perhaps, the bilingual approach that already exists in our education system could be strengthened. The Federal Constitution grants to Sabah and Sarawak a number of iron-clad guarantees of their autonomy and special position. The "Borneoisation case" of Fung Fon Chen @ Bernard v Govt (2012) is slated for rehearing on July 23. It relates to alleged violations of Sabah and Sarawak's special position in the Federal set-up. When Sabah, Sarawak and Singapore joined hands with Malaya to constitute Malaysia, the significantly amended Federal Constitution granted them a number of iron-clad guarantees of their autonomy and special position. 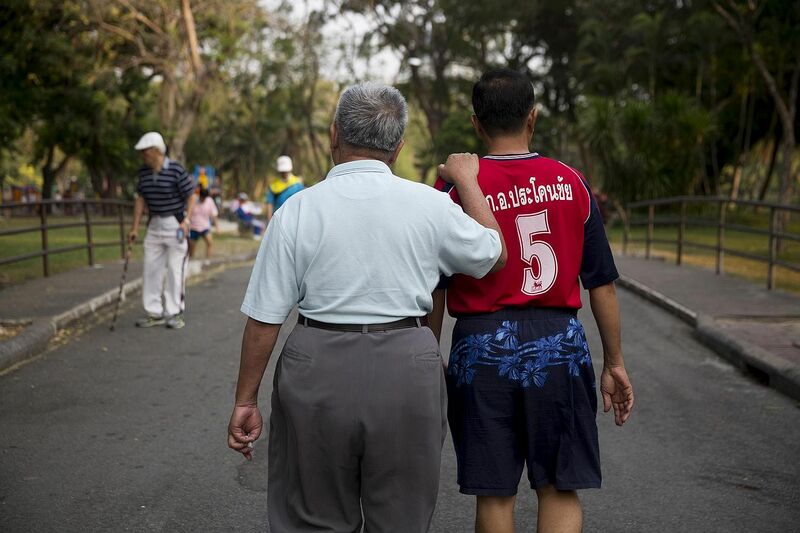 Some in the peninsula feel that 52 years after Malaysia Day the special rights and privileges must give way to more unity and uniformity on such issues as right to travel, live and work throughout the Federa­tion. Many Sabahans and Sarawa­kians, on the other hand, lament that they have been shortchanged and that there is a distinct whittling down of the privileges promised to them in 1963. Political control: The Federal Government dictates political outcomes. The Federal Government's choice of Mentris Besar and Governors does not always reflect popular sentiments in these states. The declaration of emergency in Sarawak in 1966 and the dismissal of Chief Minister Stephen Kalong Ningkan indicate that state autonomy is rather frail. Interference by Federal politicians in Sabah's politics in 1994 led to the replacement of popularly elected local leaders. Expanding Federal jurisdiction: Labuan was ceded to the Federal Government in 1984. Water and tourism have been federalised. Federal trespass on Sabah and Sarawak's right in relation to amendments to the Federal Consti­tution was highlighted in the landmark decision of Robert Linggi vs Government of Malaysia (2011). Religion: At the time of the 1963 merger, there was no state religion in these two states. 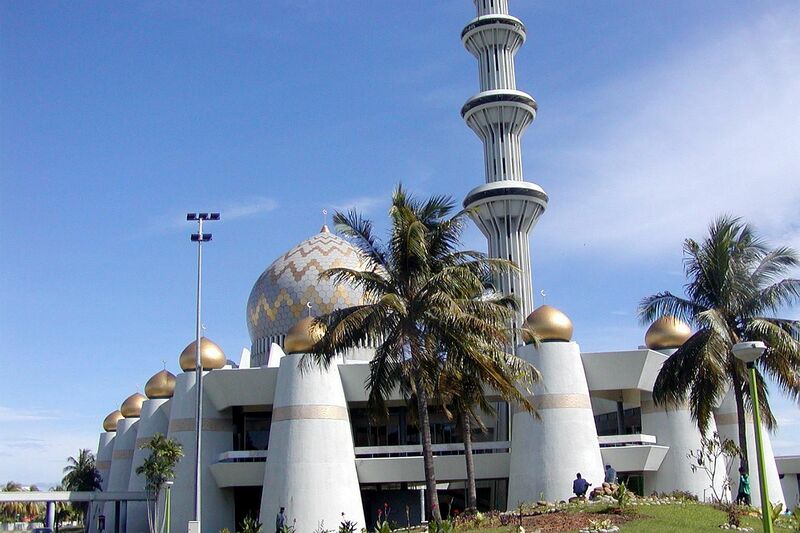 Islam is now the official religion of Sabah. Articles 161C and 161D, which imposed procedural restrictions on laws favouring Islam, were repealed in 1976. The seizure of Bibles and the judicial decision on the kalimah Allah issue have angered many Sabahans and Sarawa­kians. Finances: There is an allegation that these states do not derive the kind of financial benefit they deserve as a result of their contribution to the national coffers from petroleum, hydroelectricity and tourism. Immigration: The influx of illegal immigrants and the alleged ''naturalisation'' of thousands of them are violations of Sabah and Sarawak's right over immigration. Parliamentary representation: In 1963 it was envisaged that the Borneo states and Singapore shall have no less than 33% of the Dewan Rakyat seats. The percentage has now dipped to 25%. 20-Point Agreement: Within Sabah there is considerable disquiet that some of the safeguards of the ''20 Points'' have not been converted to law. A prominent complaint is that Borneoisation of public services in Sabah has not proceeded vigorously. It is alleged that insufficient protection is being given under Article 153 to natives of Borneo states. Secession: In the light of the above, a movement has sprung up asking for Sabah to secede from the Federation. Legally speaking, our Constitution contains no provision for the secession of any state from the Federation. The disintegration of the Federal union is not contemplated by the Constitution. Any attempt at separation or incitement to secede will actually amount to treason and sedition under our criminal laws. Even the 20-Point Agreement with Sabah explicitly states in para 7 that there is no right to secession. But what about Singapore? Contrary to what is believed by some, Singapore did not unilaterally secede from Malaysia. Its "separation" was accomplished by several mutual acts between the Malaysian Federal Government and the state Government of Singapore. Among these were the Inde­pendence of Singapore Agreement 1965 and the Constitution and Malaysia (Singapore Amendment) Act 1965. The latter made significant modifications to the 1957 Federal Constitution and the 1965 Malaysia Act and explicitly stated, "Parliament may by this Act allow Singapore to leave Malaysia". Self-determination: What about international law? One has to concede that the law of nations recognises the right of a people to self-determination. The law was born in an era of decolonisation and embraces the notion that people who have a common historical, ethnic, cultural, linguistic, religious, ideological, territorial or economic identity have a right to determine the political and legal status of their territory. They may set up a new State or choose to become part of another State. In recent memory, Crimea (2014), Timor Leste (1995) and Bangladesh (1971) travelled down the painful, blood-soaked path of national liberation. The principle of self-determination is recognised in Articles 1(2), 55, 73 and 76(b) of the United Nations Charter and in many other international documents. However, international law scholar Abdul Ghafur Hamid asserts that the legal right of self-determination applies primarily to colonised, trust and mandated territories: "The effect of linking self-determination to decolonisation seems to deny a general right to secession of groups within a State". I believe that despite some ambiguity in international law, the various regions (states, cantons, provinces) of a Federation do not have a legal right to walk away from the union. A unilateral act of separation is permissible in confederations like the European Union or Asean but not in a Federation united by a written, supreme Constitution which describes the territories of the Federation. Leaders of Sabah and Sarawak must, therefore, disassociate themselves from all separatist movements. Instead they must negotiate with the Federal Government about their discontents. In turn, Federal leaders must recognise that Sabah and Sarawak's restiveness is real and must be addressed. The Federal Government must return to the meticulously negotiated compromises of 1963. It must balance the concern of equity with efficiency in inter-governmental financial relations. It must strengthen institutional mechanisms for regular, non-partisan dialogue between the centre and the states. If the root causes of dissent and disenchantment are addressed, this Federal union can survive the challenging decades ahead. Despite all the hoopla about the 11 areas of "reform" on the official agenda of the National Reform Council (NRC), there is no real hope that any substantial action will be taken after the proposals are tabled in the next few months. None of the recommendations will address the country's immediate issues - serious ailments requiring urgent corrective action, regardless of when the next election will be held. The greatest irony is that there is no guarantee that a return to electoral politics will raise the hope of these problems being more effectively tackled. A military coup can't possibly address the country's deep-rooted issues. In fact, a command-and-control political system, no matter how it is brought about, is always disastrous to the attempt to get the country out of an economic coma. All hope is therefore placed on a return to an election that will provide proper checks and balances to national governance. If past experience is any indication, that assurance could be quite elusive as well. #The ageing society: Officially, there is recognition of the issue. A department within the Public Health Ministry is even labelled the Senior Citizens Unit, but there is a lack of a comprehensive programme that can coordinate work across all ministries. Greater health expenditures and fewer young people coming into the workforce are only two of the obvious problems that will sap the nation's resources beyond existing capacities in the economic, social and political spheres. # Lack of innovation: Government funding of research-and-development remains abysmal. The private sector's R&D activities are uncoordinated. SMEs (small and medium-sized enterprises) get lip service from all the relevant government agencies and the private sector's professional groups. Start-ups suffer from lack of support from anywhere. Thailand's competitiveness in the regional landscape is eroding rapidly without any genuine efforts to boost innovation. # The bureaucracy continues its downward spiral. Haunted by the populist politics of the past decade, the best and brightest technocrats have shrunk in number and few are left to challenge the status quo. The country's best minds aren't joining officialdom, preferring to work for the private sector, where they can be more independent and innovative, or to pursue their individual dreams of becoming the new generation of entrepreneurs, as opposed to the traditional sense of job security, by joining the bureaucracy. # Corruption remains rampant despite all the official talk of cracking down on all aspects of "conflict of interests" within the political and bureaucratic agencies. "Knowing who" is still more important than "knowing how" in getting things done in Thai society. Because of the prevalence of corrupt practices, law enforcement is weak and inconsistent, resulting in double-standard implementation of the law. The principle of rule of law is therefore never taken seriously. # Education reform remains elusive. There is no shortage of research into how the country should revamp its education system. Hundreds of committees in various forms and shapes have been set up, abolished, reappointed and dissolved. Tonnes of paperwork on recommendations have been compiled, but the main culprit remains the lack of political will to shake things up, which would inevitably put a dent in vested interests. None of these issues will be addressed in any effective way by the NRC, or the new steering commission that will replace it, as long as the country's political power remains in the hands of a small group of people, be they in military uniform or electoral mafias who can still use money, power and influence to stay in power or win elections. Unless citizens at all levels get involved in participatory democracy, backed up by an effective and all-embracing civil society, the "mai pen rai" mentality will reign supreme and the country's political and social health will continue to deteriorate. There is no light at the end of the tunnel. Without real action to reverse the nation's worsening malaise, the decade-old social and political conflicts that have undermined our democratic institutions will not go away, no matter how many coups or elections are staged. The recent crash of an Air Force C-130B airlifter was the latest in a long line of fatal accidents involving the country's military hardware. Between 2006 and 2015, there were a total of 18 accidents or an average of two incidents per year. These have caused huge material losses and most importantly claimed the lives of well-trained military personnel. 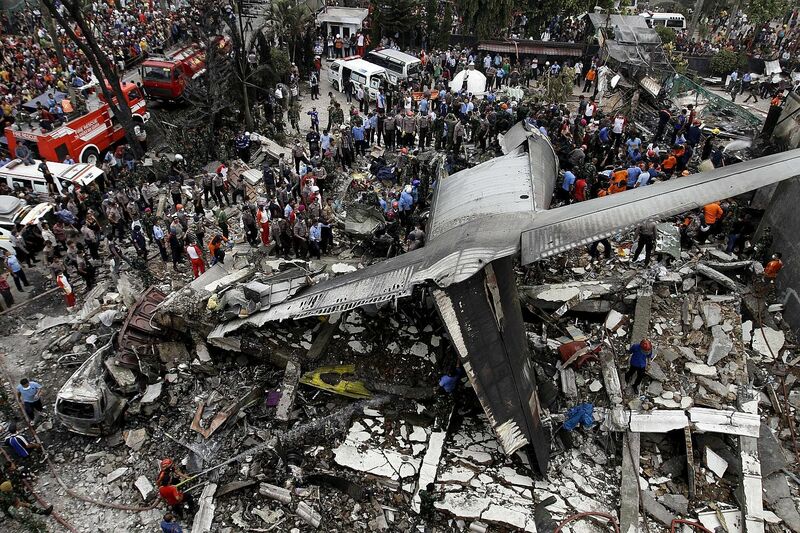 This awful situation is dangerous to Indonesia's security and stability. If the trend continues, it is likely to further degrade troops' morale and weaken the military's deterrence effect in key flashpoints and border areas - particularly in the Ambalat and Natuna seas. Based on the Centre for Strategic and International Studies (CSIS) database per December 2014, the Indonesian Military (TNI) operates a total of 160 variants of weapons systems consisting of 64 land systems, 56 naval weapon systems and 40 types of military aircraft. There are, at least, two major issues relating to the current development of the TNI's arsenal. First, a close examination of their service records shows that overall 52 percent of TNI equipment has been operated for over three decades. While only 38 percent of the Air Force's arsenal is over 30 years old, the Navy and Army, with respectively 59 and 54 percent, are at the top ranks in aging arsenals. Indonesia's Marine Corps, for instance, still relies on a fleet of outdated PT-76 tanks for amphibious operations. However, the fact that most of the existing armaments are aging does not instantly disqualify their use in future military operations. There are many operational factors that can affect the serviceability of weapons systems, including routine maintenance and overhaul, as well as the availability of spare parts and local infrastructure. Another crucial factor is the relevance of the existing weapons technologies with the military's operational requirements. In theory, the deployment of military units depends on the nature of threat, terrain and weather conditions, as well as mission objective. According to Indonesia's recent defence guidelines, the prospect of high-intensity conflict remains low in Southeast Asia in the near term. With that assessment and due to limited funding for new procurement, the TNI seeks to refurbish and upgrade the existing military systems it considers relevant for future operations, such as modified AMX-13 tanks, Ahmad Yani-class frigates and C-130H transport planes. Second, a study on recent defense procurements highlights the slow pace of Indonesia's military modernisation. In the last 15 years, despite the acquisition of larger sealift vessels, the Navy could only procure seven ocean-going warships. Despite its ambition to operate up to 10 jetfighter squadrons, the Air Force had to take a long process to complete its Su-27/30 fleet and replace aging F-5 aircraft. This modest progress is still inadequate to ensure Indonesia's sovereignty over its vast archipelagic territory. As with the practice in many countries, the Defense Ministry adopts "threat-based" and "capability-based" defense planning. Nevertheless, funding is the major obstacle slowing the pace of arms modernisation in the TNI. All the time, Indonesian policymakers struggle to weigh a proper balance between "guns versus butter" in defense budgeting. Very often, the country's defense planners have to adjust the existing procurement plans according to available financial resources. Moreover, given the budget constraint, Indonesia has been relying on foreign loans for major defense procurements. Between 2009 and 2014, about 33 percent of the country's arms imports were funded under the export credit agreement provided by the Russian government. While necessary, the funding mechanism as such entails complex bureaucratic red tape. This often prolongs the process of arms procurement and delivery, as well as complicating any negotiations regarding the transfer of technology to indigenous strategic industries. Over the past 10 years, the Indonesian government has also tended to overvalue the "million friends, zero enemy" doctrine. This mindset further complicates strategic policymaking as the decisions on defence procurement have to take into account the impact of new weapons systems on arms dynamics and regional stability in Southeast Asia. In theory, the acquisition of any new arms is potentially disruptive to the balance of military power in the region. However, identifying the difference between defensive and offensive arsenals is increasingly difficult practice today. With the increasing problems in the country's maritime domain, both Indonesian policymakers and House of Representatives members have no option but modernise the military's weapon systems. President Joko Widodo's maritime aspiration is a powerful political commitment to accelerate that effort. Raising Indonesia's defence budget up to 1.5 percent of GDP is essential to cover the costs of the TNI's arms maintenance and procurement programs. Equally important is the "mindset revolution" (revolusi mental) in Indonesia's defence planning. During his interview at the House of Representatives last week, TNI chief candidate Gen. Gatot Nurmantyo specifically underlined that the increasingly complex strategic environment requires the development of capable air and naval power. This is certainly a remarkable statement for an army officer, suggesting greater internal cohesion and aspiration for interoperability among the armed services. Civilian leadership must also undertake similar mindset change. Rather than perceiving it as routine spending, both executive and legislative officials must ponder weapons procurement as a long-term investment to safeguard the country's huge economic interests and overall development. This way, military transformation will eventually take place in Indonesia. The writer is defence expert at the Centre for Strategic and International Studies (CSIS), Jakarta.